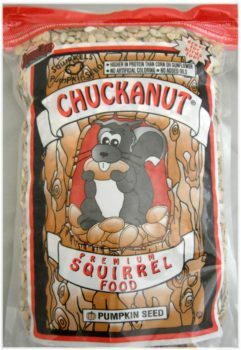 Gourmet food blended to satisfy all of your backyard visitors. 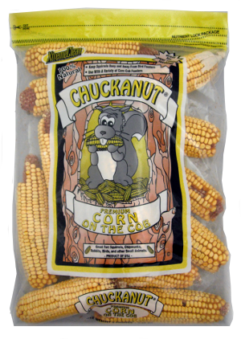 Ingredients: A gourmet mix of Pumpkin Seed, Peanuts, Sunflower Seed, Corn, and Hazelnuts. Attracts: Squirrels, Chipmunks, Rabbits, Blue and Stellar’s Jays. 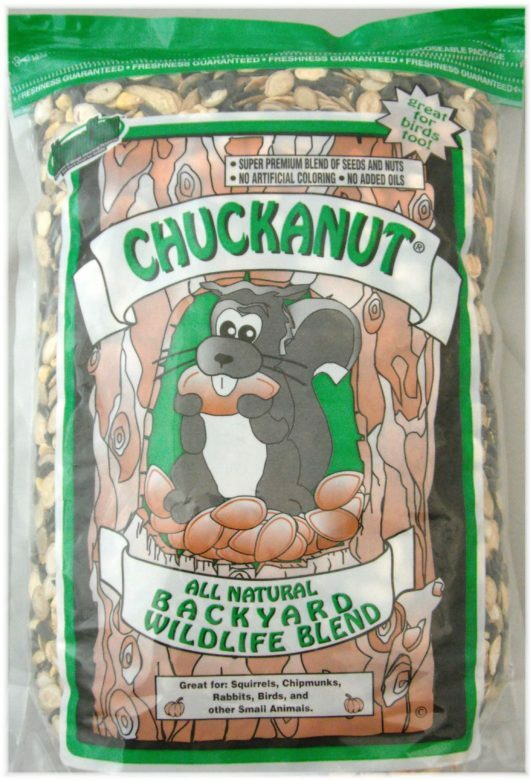 Feeder Type: Chuckanut Squirrel Feeder, Hopper, Chalet, Bowl. Sizes: 3, 10, and 20 lb.